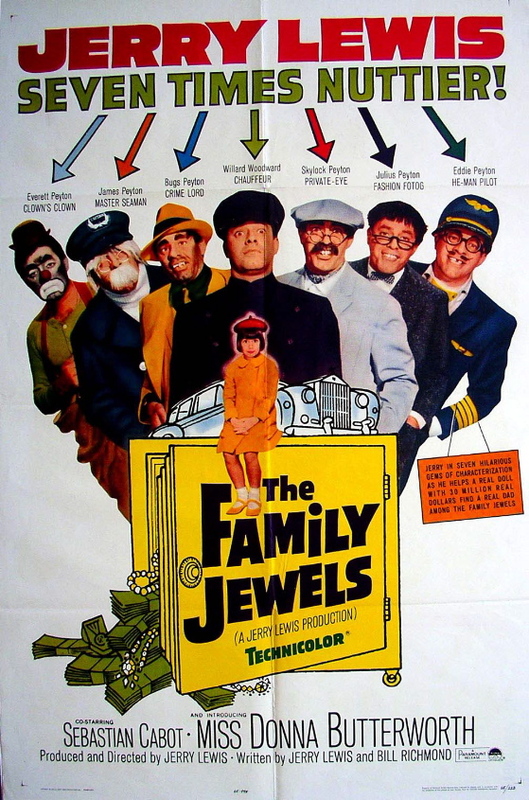 THE FAMILY JEWELS—-directed, produced and co-written by The World’s Greatest Ego–oh, I mean, Jerry Lewis, who ‘stars’ in this 1965 yecch. This time he plays seven parts. 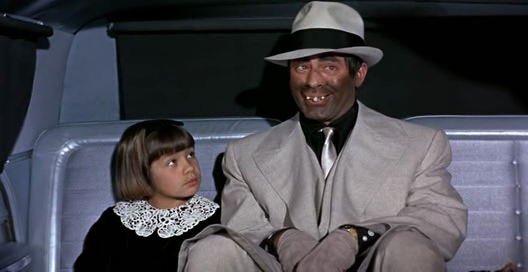 A little girl is going to inherit millions and she must pick her guardian from among her eccentric uncles. Oh, great, now we get to see Jerr go ding-ding in all kinds of zany makeup. 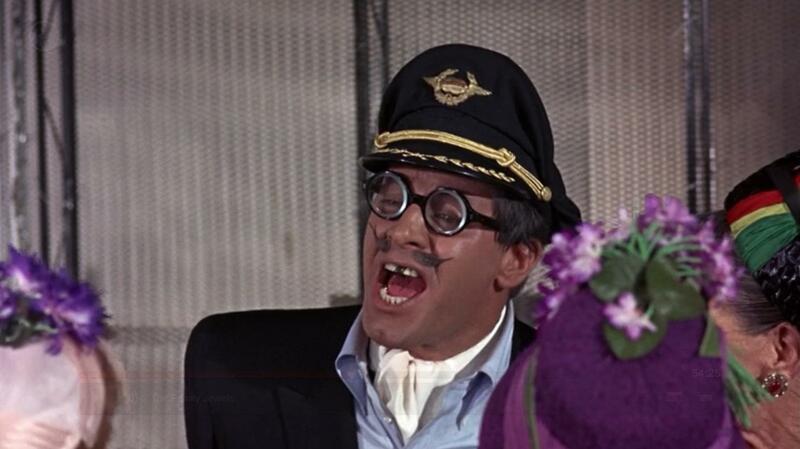 Seven Jerry Lewis’ are eight too many. It came in at #38 for the years moneymakers here in the States, did well in France. For a real hoot, read the “Cahiers du Cinema” review. With Donna Butterworth, Sebastian Cabot, Neil Hamilton, Robert Strauss, Ellen Corby. 99 minutes, with a sole somewhat redeeming feature in the classic pop number from ‘Jerry’s kid’, as in Gary Lewis & The Playboys, who sing “This Diamond Ring”.